Eenhoorn manages properties through-out the U.S. Our portfolio includes luxury high-rise Class A apartments as well as garden style apartments, student, senior, and affordable housing. Join us and discover a wide range of career opportunities. At Eenhoorn, you'll be able to work in a professional environment that utilizes cutting-edge technology, encourages ongoing learning, and provides consistent professional advancement. Our headquarters are located in downtown Grand Rapids, MI along the Grand River in the Plaza Towers complex. We have been a proud and active corporate citizen of the greater Grand Rapids area since 1988. Discover more about our results-oriented approach. We provide an array of services that cover the full spectrum of property management. Our goals are simple: to satisfy our residents by setting new standards for superior services, to provide our co-workers a creative and challenging work environment, and to reward our investors by enhancing the value of our properties. Eenhoorn has an established strategy of pursuing opportunistic real estate investments located around the US and Europe. Eenhoorn leverages an entrepreneurial approach, a fully integrated platform and extensive relationships to acquire, develop, reposition and operate real estate. The disciplined investment approach focuses on ground-up development and repositioning opportunities in assets with significant value-add potential and measured downside risk. Eenhoorn utilizes a market neutral investment strategy, focusing on each potential acquisition’s attributes instead of basing an investment decision solely on general market mechanics. 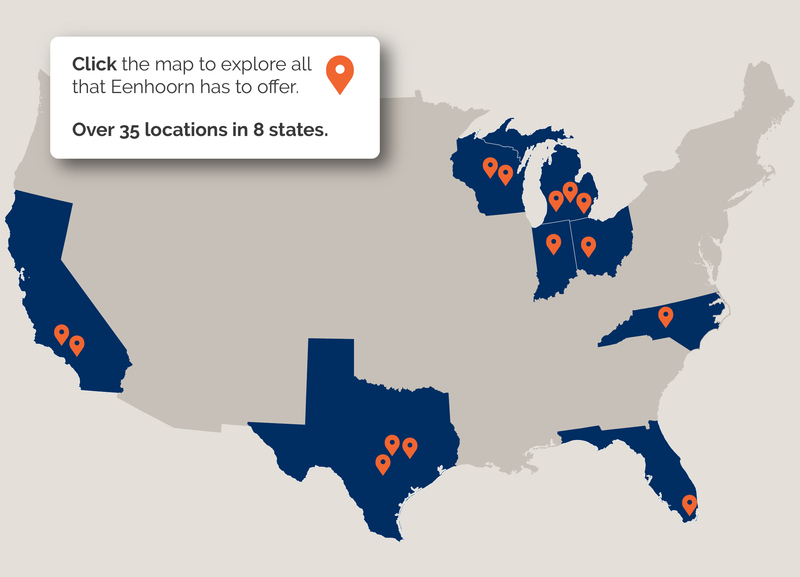 Eenhoorn’s success is rooted in intensive market selection, broad sourcing capabilities, comprehensive due diligence, detailed financial analysis, proactive management, and timely property dispositions. Through this strategy, Eenhoorn’s leadership team has amassed a widely recognized and highly regarded track record of financial success. We promote a culture of growth and success for our employees as much as we do our company. We are proud of our commitment to provide individual attention to each and every employee who is a part of our team. When you join Eenhoorn, you will learn new skills, acquire knowledge and use these values to help you grow in your career and fulfill your professional goals. Interested in learning more about our property management services? Do you have any questions or concerns? Please feel free to contact us at anytime!